Scale Model News: 1:200 - THE ONE TRUE SCALE? 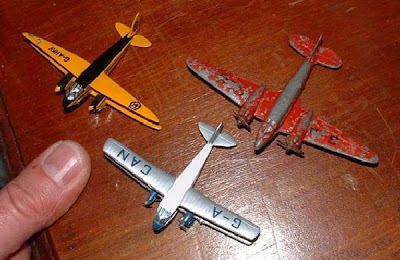 A whiff of nostalgia - ah, the sound of spinning props, the smell of oil drifting in the air! Raris avis in the form of a Hunting H126, an experimental aircraft that flew in 1963. Just one was built for a series of flights to test a jet-augmented, low-speed flap design. Nifty group here, including a 10-strong Red Arrows display team flying an unusual type. It's the porky-but-nice Short SC1 experimental VTOL machine from the 1960s. 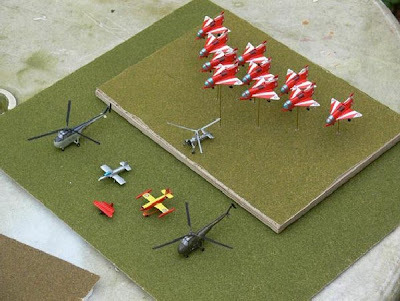 More, much more, for 1:200 scale fans at Shed Models here.